assists in carrying body to grave, carrying coffin from premises to hearse and from hearse to grave. 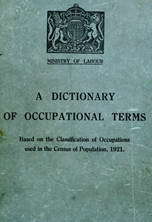 see undertaker ; (Lancashire term). injects disinfecting chemicals into the blood vessels to preserve a dead body; generally prepares for transport or burial. see funeral director ; (Scottish term). superintends arrangements and is responsible for conduct of a funeral; estimates cost, measures body for coffin; sometimes prepares the body for burial. attends to callers in undertaker's shop; sells artificial flower wreaths, etc. ; assists in polishing coffins; goes with undertaker's van to assist in carrying coffin into house; may also carry out duties of bearer (q.v.). watches by coffin during nights preceding funeral; required by Jewish ritual.